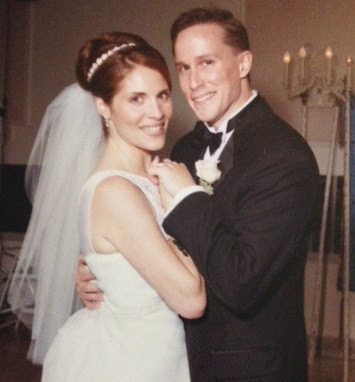 I just celebrated my 15th wedding anniversary. It feels like yesterday when I was living in Manhattan and planning my wedding. At that time there wasn't pinterest or any online magazines to search for ideas. I had to rely on magazines and comfortable pumps to hunt for the perfect dress, headpiece and jewelry. In a small shop in Brooklyn, I scored and an exquisite vintage headpiece but no other jewelry really spoke to me. Who is that lovely couple below? Fast forward, the internet has opened so many doors for artists, and online companies. If Anjolee had existed 15 years ago it would have made my life so much easier. One of the largest diamond jewelry manufacturers in the U.S., Anjolee diamond jewelry offers some stunning selections from rings, to bracelets, to necklaces and wedding rings. Great customer service and an education center too. 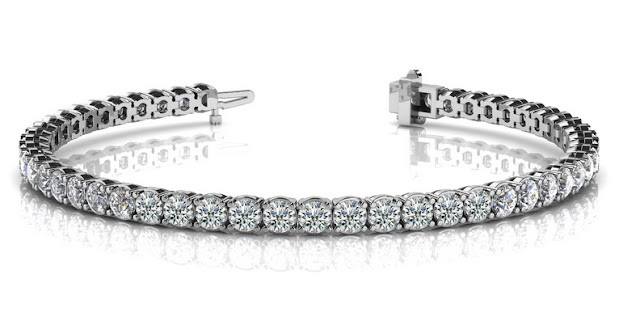 You can learn about the different cuts of diamonds and how to care for them. 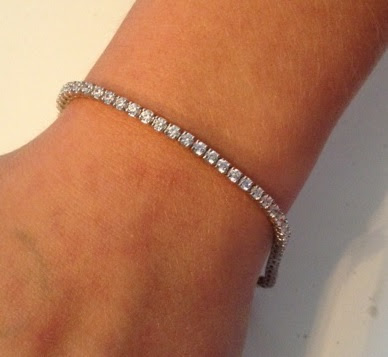 I didn't get diamonds, but I am now rockin a new CZ Timeless Dreams Tennis bracelet that I customized. Yes, custom. To your taste and budget, you can customize any gold or platinum jewelry design. Thanks Anjolee, I just love it! It's the bracelet that I was looking for my wedding day 15 years ago!